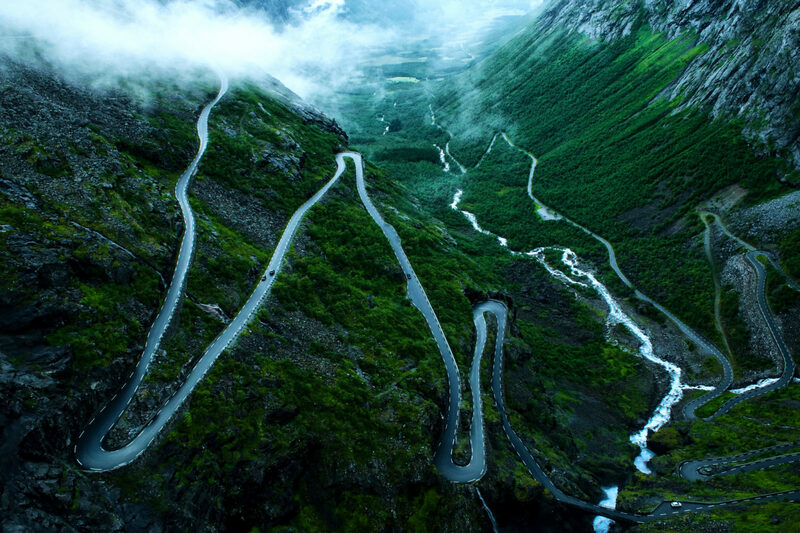 Trollstigen, which literally translates to "the trolls' path", is a pretty magical road in Norway. I have only been here once, but wouldn't say no to coming back. Not only is the view from above, quiet special, but throughout the drive, you also pass a 320 meter tall waterfall, as well as mountains reaching over a kilometer up in the air.